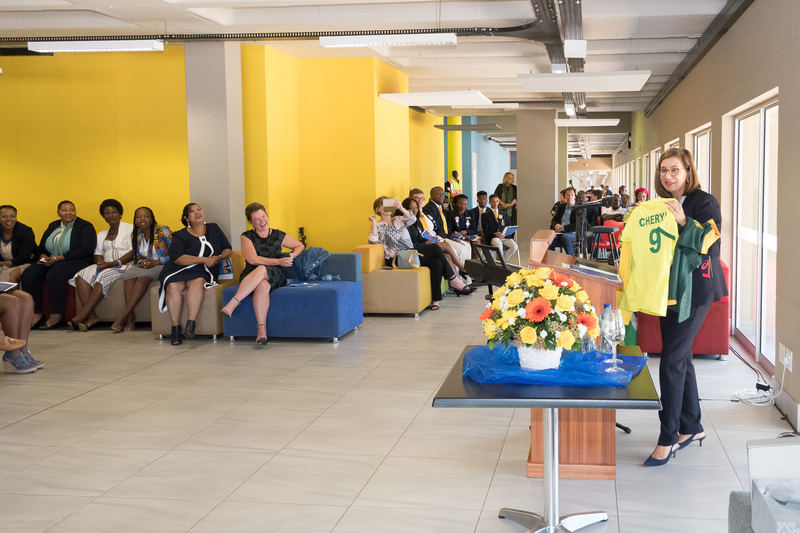 The Faculty of Education recently hosted a high tea to say its goodbyes to Vice-Chancellor and Principal Professor Cheryl de la Rey, where she was presented with supporters shirts for soccer, cricket and rugby – all branded “Cheryl” and the number 9, having been the University of Pretoria’s VC for nine years. Prof Cheryl de la Rey received supporters shirts from the Faculty of Education as Dean of the faculty Prof Chika Sehoole and Prof Salomé Human-Vogel looked on. Prof De la Rey will soon be settled in New Zealand, where she’ll take up the position of Vice-Chancellor of the University of Canterbury, and the faculty’s gift was an attempt to make sure the outgoing VC stands out at broadcast sports matches – where she will no doubt be supporting our national sports teams! 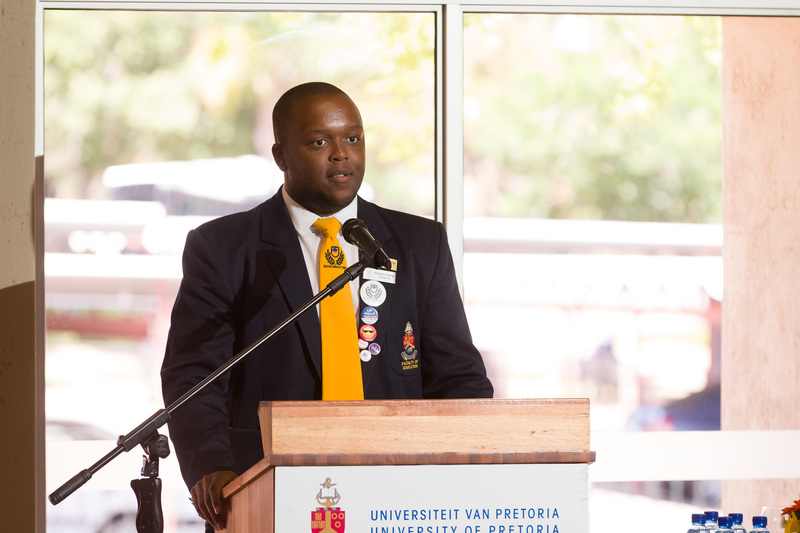 Programme Director Dr Rakgadi Phathlane. Prof De la Rey addresses the Faculty of Education. 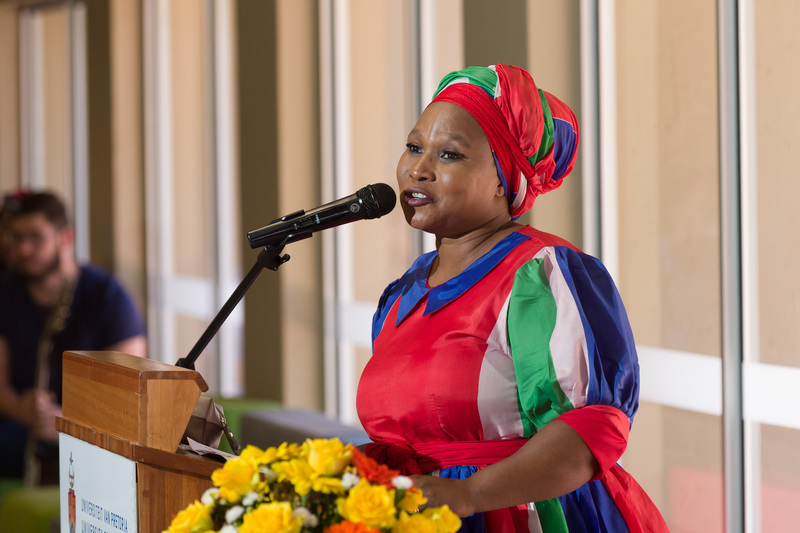 Education Faculty Dean Prof Chika Sehoole delivered the welcome address, while Prof Liesel Ebersöhn of the Centre for the Study of Resilience spoke on behalf of the academic staff. 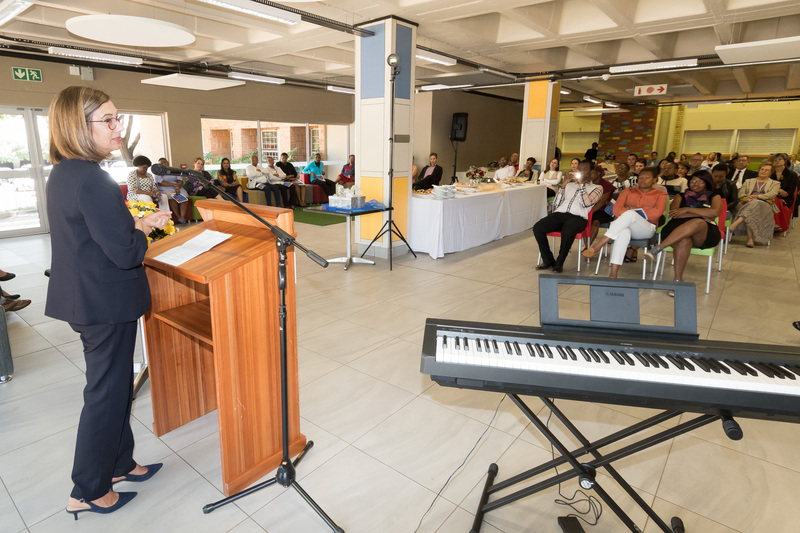 Ms Bronwynne Swarts, Manager of Postgraduate Studies, also delivered a message on behalf of support staff. 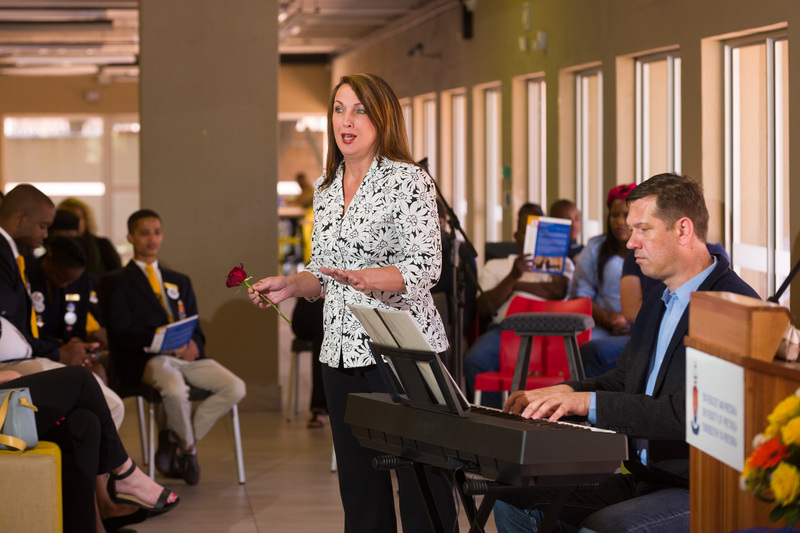 Linette van der Merwe sang “Habanera” from Bizet’s Carmen. Primaria of House Education Bongumuse Shabangu speaking on behalf of the students. 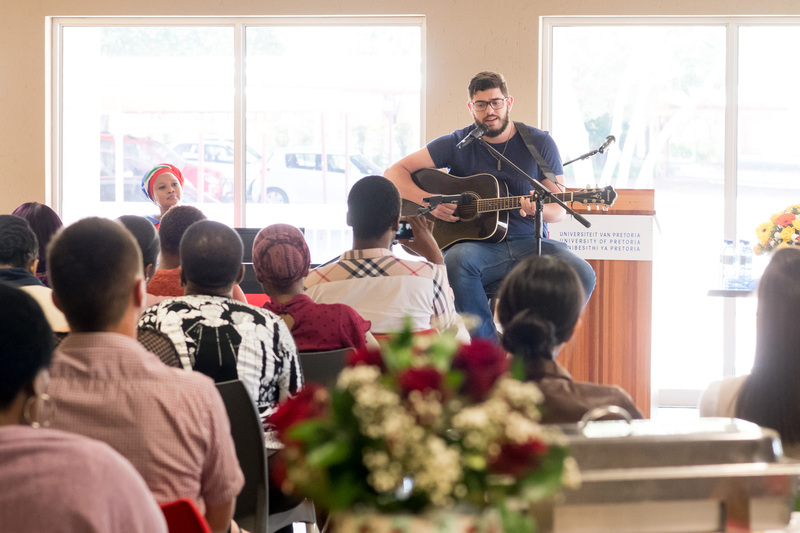 Entertainment was provided by Music Education student Mike du Plessis as well as Linette van der Merwe from the Department of Humanities Education. Mike du Plessis performed Flora Cash’s song “You’re Somebody Else”. Prof Chika Sehoole welcomes guests.